Capture moments that will last a life time. Regardless of the occasion, our photos are the colour on the canvas of our lives. Our Photo booth was designed to help you capture these moments and turn them into memories to be relived and shared for a life time. You would be surprised by the unique / special moments captured in our photo booth, sometimes weird, sometimes funny, sometimes sweet but always uninhibited, the possibilities are endless. Our photo booth is an absolute must at every wedding. Our photo booth is the perfect addition to ensure your special day is captured until the very last minute. It will be a hit at your wedding and leave your guests entertained all night. Depending on the package your guests enjoy unlimited photos & video messages for the duration of the hire. Depending on the package you choose you can receive a USB full of the photos and videos messages, add to this our guest book for your guests to get creative with on the night, and you will have a fantastic keepsake of the day for years to come. Whether you are planning a birthday party, family reunion, farewell function, engagement, school formal, graduation, Deb Balls, baby showers, work functions, christenings, hens and bucks nights or any other event you want to remember Sunshine Coast DJ Hire & Photo Booth would love to be there. People of all ages will be entertained for hours with our amazing photo booth. Lots of prop’s to choose from. Be sure to get in early. Planning an event for you team, company or even your staff party? Sunshine Coast DJ hire & Photo Booth will put on a great show; we will make sure the photo booth runs smoothly and keep everyone smiling. 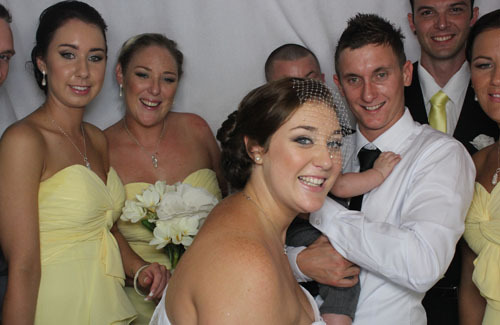 Any event will be a hit when you hire with Sunshine Coast DJ Hire & Photo Booth.